I organised a cupcake competition for work, during the school holidays. I tied it in with the School Holiday Programme that is run at the Linton Community Centre, and today they were doing some baking. 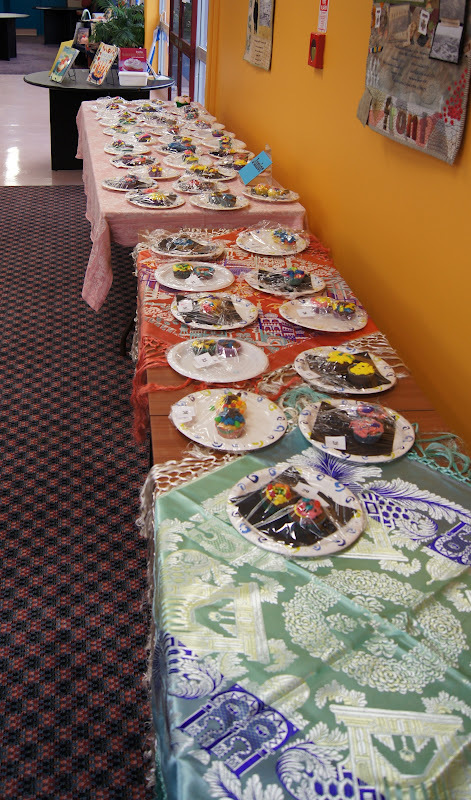 Some other children in the housing area also made cupcakes, so I was pleased it wasn't a complete whitewash. Looks like it was a big success! Did you get to taste any? Ha! Yes, I did a deal ;) with two of the contestants (brother & sister). Yummy too!